Dang...Batchelor and Drummond on the brass just killing it! How I wish I could play like these all-stars! My new favorlite summer sound!!!!! 8?! What was I thinking? Solid 9, pushing 10. I love it! At the throbbing core of this is an amazing, catchy groove pulsing within a killer series of thrilling rhythm shifts and jump-beats. Why are there lyrics? This and virtually all Skatalites tunes are instrumentals. a first for me! 7 out of the box lol nice! I saw these guys play at a local club last year with Doreen Shaffer and maybe one or two other original members. Yes, they are still out there...go see them! It was so much fun! Is this 'SKA'' or ''BLUE-BEAT'' ??? Ska Jazz Dearie! Ska Jazz! Have seen them in Jamaica, London and Berlin, GREAT NIGHTS!!! Is this 'SKA'' or ''BLUE-BEAT'' ??? I believe Blue-Beat was the forerunner of Ska but where the dividing line is remains a mystery to me....Looking at the Album cover if it is of genuine age ..this could well be Blue-Beat.. RSVP. I thought it was called "ska" since the early 1960s, thus this band's name. Blue Beat was a label which released Caribbean ska and R&B recordings. I guess eventually the terms became interchangeable. Skanking. . . I am skanking! Top grade Ska has been proved to be good for you. As long as you don't over do it, it will make you three inches taller and smell nicer. Trust me, I'm a doctor. Not today, mate: $88.97. Supply and demand. Q: How many rude boys does it take to change a lightbulb? A: 4 - 1 to unscrew it, and 3 to Pick it up! Pick it up! Pick it up! I have no idea if this and the previous song by Youssou N'dour are Bill's reflection on the "Charlie Hebdo" massacre, but they are appropriate, especially the 'Lites' being From Paris with Love. Should have read, "Wesley, stop that infernal racket! " I'm liking it but if this little freedom run isn't leading us to Richie Havens Freedom then i will need to take a little detour after this one. On a sidenote I would like to point out that i would rather not have skatellites passing overhead.No reflection on the music just a horrible mental image. I think the pigeons are dangerous enough. Get away, I have that but I never knew he was one of the Skatalites. btw I got a copy of this for 20 quid. Excellent! Would enjoy some more of this action. Agreed. Spock, hit the PSD please. Great.... but if I want to buy a copy from Amazon it'll be £186.00 - it's not that good!! Why, this is rather jolly little ditty, got my feet tapping! loged in just for the comment: this song calls for the dancing banana! 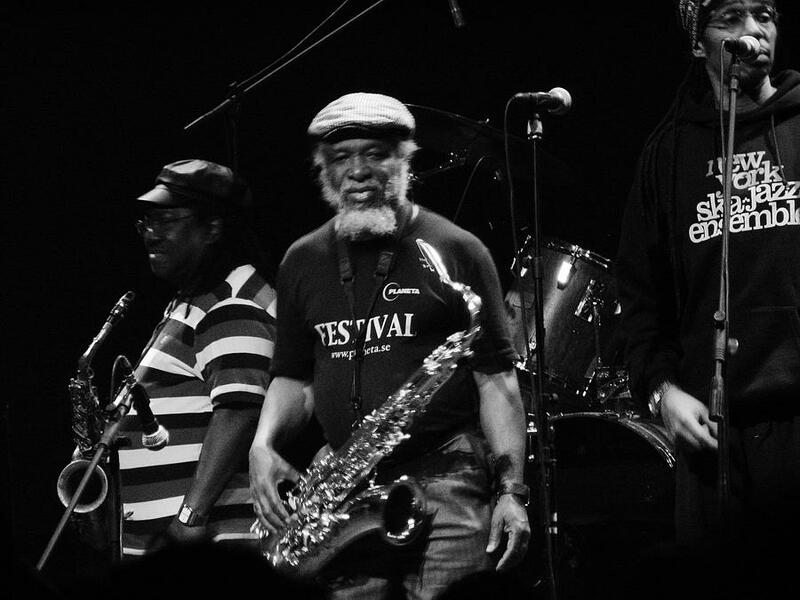 Oh yes, Skatalites, finest among the finest. Oh, Hell Yeah! Turn me grey day to sunshine. Is this 'SKA'' or ''BLUE-BEAT'' ??? I believe Blue-Beat was the forerunner of Ska but where the dividing line is reamains a mystery to me....Looking at the Album cover if it is of genuine age ..this could well be Blue-Beat.. RSVP. Interesting. I had never heard of 'Blue-beat'. Gotta learn about it. But I expect, like most genres, there's a whole continuum, and there's no clear dividing line. Hypnotic... I find myself doing the head bob without realizing that I'm doing it. Yup. Me too! Nice, uplifting beats for a Friday afternoon...! The only way to improve on this would be to play The Guns of Navarone next...............................please? Thanks doc I be taking me medicine mon! Great to see no one knocking this music all positive! How can I NOT dance to this? So good. Saw them a few years ago. Awesome! Skatalites at the principal club theatre of Thessaloniki (Greece) (25-11-2007) Another great concert! SKA-SKA-SKA!!! Difficult to type with my shoulders keeping time to the music. Ooooo. Love the brass, too. This is great!!!!! Wanna dance. kn oooo w wh aaaa t u meeee eeeeee eee eee n! Is this what Ska music is? This is what Ska music is! Fantastic set Bill! Floyd to Gabriel/Bush, something I'd never heard from N'dour, and now ska. Nothing but 'net! 8 just for some ska sound on RP! I'm dancing with Dio's other leg. Perhaps the greatest instrumental group in any popular genre whatsoever, ever. My guys! Ska seems to come back every 10 years or so. These guys are old skool, 1960's or so, with a slightly slower pace than many other ska songs. Ok, I'm going to spend the rest of the day trying to learn that guitar lick. reggea's awesome step-child--i love ska. play some toasters for me! I think "older brother" would be more appropriate. Ska predates reggae by at least 15-20 years. 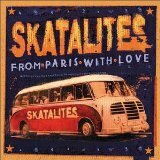 My kids grew up loving the Skatalites. The "Fredom" call at the start of this song was like a call to arms, they would come running to the living room and dance until they collapsed. That was almost 20 years ago... hearing this today made me very happy. YEAH MON!!!! :devil_pimp: :dancingbanana_2: TANKS FOR DA SKA MON!!! How does RP find such great eclectic music! Love it. I'm Ska'd for life! Yes, that was great. Amazing that some cretin was accidently listening to the wrong radio station and gave it a 1 on it's first play.